Housing costs got you down? Though apartment hunting can be frustrating, there are deals to be had. So what does the low-end pricing on a rental in Hamilton Heights look like these days--and what might you get for the price? We took a look at local listings for studios and 1-bedroom apartments in Hamilton Heights via rental site Zumper to find out what budget-minded apartment seekers can expect to find in this New York City neighborhood. Listed at $1,445 / month, this 600-square-foot studio apartment, located at 629 West 142nd St., is 12.4 percent less than the $1,650 / month median rent for a studio in Hamilton Heights. When it comes to building amenities, expect a roof deck, outdoor space, on-site laundry, storage space and secured entry. In the unit, expect high ceilings, both air conditioning and central heating, hardwood flooring and a walk-in closet. For those with furry friends in tow, know that cats and dogs are allowed on this property. 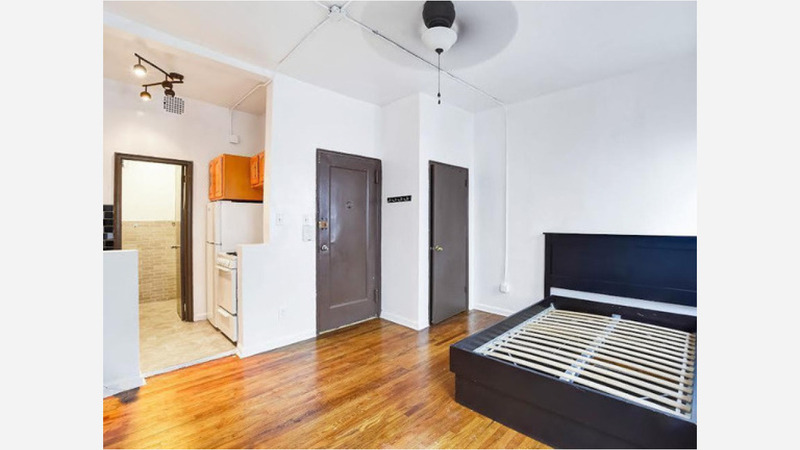 This studio apartment, situated at 3605 Broadway, is listed for $1,450 / month. Here's a studio apartment at 506 West 146th St., which is going for $1,500 / month. Also listed at $1,500 / month, this studio apartment is located at 410 West 148th St.
And here's a 1-bedroom, 1-bathroom apartment at 961 Saint Nicholas Ave., which is going for $1,625 / month. Listed at $1,695 / month, this 1-bedroom, 1-bathroom apartment is located at 1883 Amsterdam Ave.
To wrap things up, there's this 1-bedroom, 1-bathroom apartment at 196 Bradhurst Ave. It's also being listed for $1,695 / month.